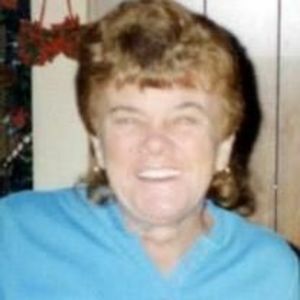 Mary Law, 73, of Liberty passed away on Sunday, February 19, 2017 at Siler City Center. A graveside funeral service will be held on Wednesday, February 22, 2017 at 2:00 p.m. at Liberty Grove United Methodist Church Cemetery with Rev. Larry Stines officiating. The family will receive friends on Tuesday evening from 6:00 until 8:00 p.m. at Loflin Funeral Home, Liberty. She was the daughter of the late Thomas Richard and Agnes Bowden McDonald and was also preceded in death by her son, George Edward Law, Jr.; sister, Eula Mae Hill and brothers, Paul McDonald and Tommy McDonald. Surviving is her husband of 57 years, George Law; sons, Michael Law (Kathy) and Jerry Law; sister, Sally Lawson; grandchildren, Michael Law, Nikki Law and Jessica Deese and three great-grandchildren. In lieu of flowers, memorial contributions may be made to Ronald McDonald House Charities Inc., 26345 Network Place, Chicago, IL 60673-1263. Loflin Funeral Home, Liberty is honored to serve the Law family.